Do you have a favorite soundtrack? Music can add emotion to any movie, and later on in life may always remind you of that particular scene. It’s likely your own love story also has a soundtrack: there are some songs that already define your relationship and others that you’ll learn in your new lives together. In films and in real life, musicians are fundamental – of course – to music. But how many should you have for your momentous day? Read on to find out. 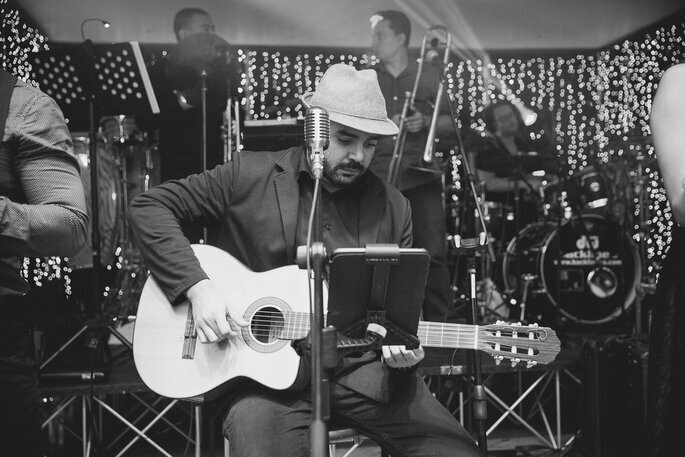 In Colombian wedding traditions, musicians are involved right from the night before, when the groom arrives at midnight to serenade the bride. Then there’s also the ceremony, the cocktail reception and the after party, usually with a new musician for every different part. Does this seem like too much? 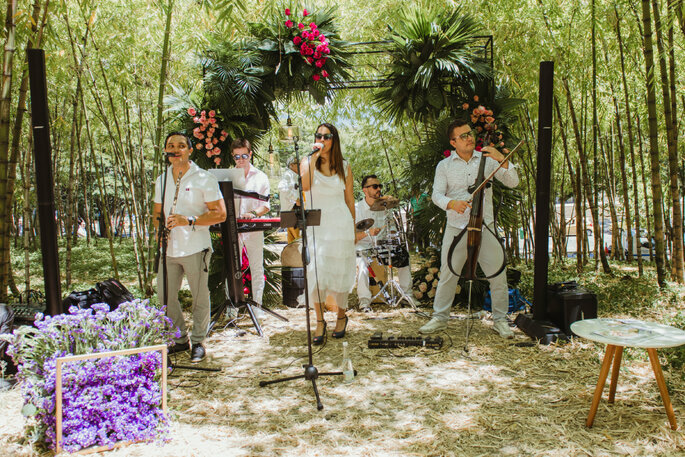 Well, we spoke to Mono Villa, the director of Monovilla Music, who is renowned in the wedding music industry. “A groom asked us to help him record a song on guitar, he came to the studio, we recorded it and he used it to propose. It was a very beautiful moment when we sang it ourselves at the ceremony.” Monovilla Music tells us. 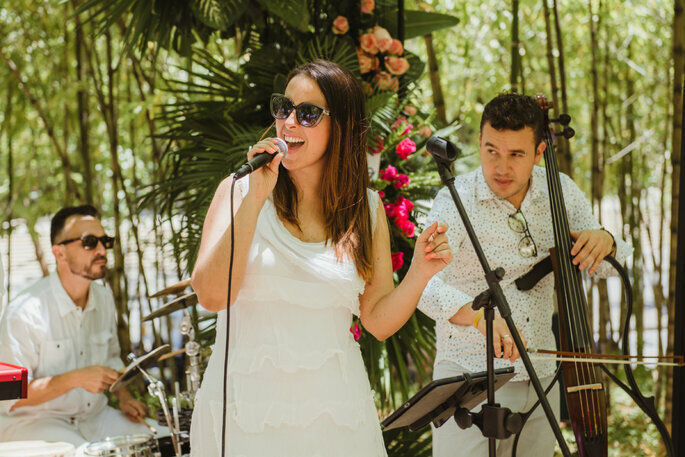 The first thing you have to consider when thinking about music for your wedding is what you and your partner love to listen to.Write down your tastes and see if you can add those special melodies and harmonies to your wedding day. For 19 years Monovilla Music has been accompanying different couples on their big day. This professional makes the happiness of each and every couple his priority. That’s why, with the help of his musical and video studies, everything is focused on you and your partner’s enjoyment. It’s important you bear in mind that, musically, your wedding has three main stages: the ceremony, the welcome drinks and the celebration. But that does not mean that you will necessarily have to hire a team of different musicians for each, “we focus on every stage, so couples do not have to search for multiple musicians with higher prices, “ Monovilla Music explains. Therefore, Monovilla’s Music smallest ensemble, which consists of 4 musicians, can take charge of each of the moments that a wedding contains: in the ceremony they will be accompanied by a cello (unless you want the string quartet or the choir), then you will have the same musicians at the welcome drinks depending on what you choose, and then the Colombian chill or acoustic band at the party. The same musicians, using the recordings that they have recorded in their studio according to your own tastes. 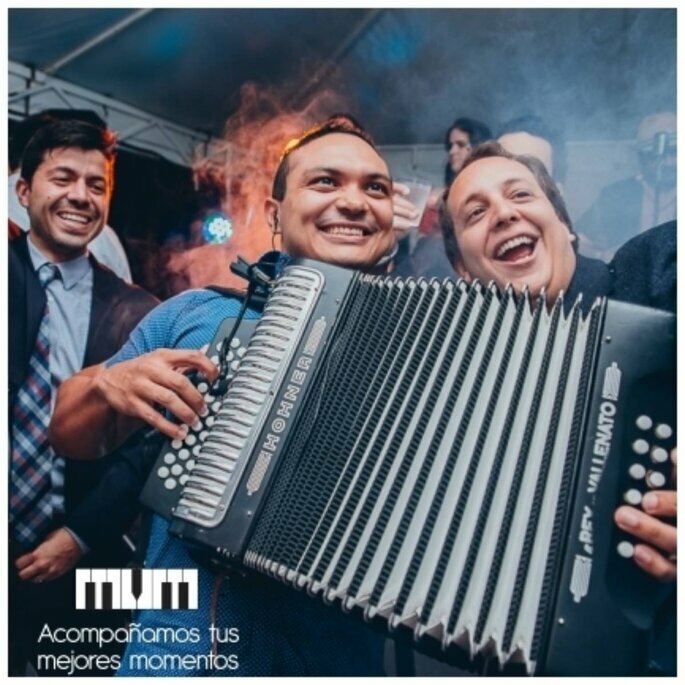 “A bride sought me out for a wedding in Bogotá, she knew the ensemble of 13 musicians and that was the one she wanted, but seeing the venue space, we realized that it was better to go with 7”, explains the director of Monovilla Music. Consider how your party looks. The more guests and space, the more musicians. But a big music stage means less space for guests to dance. Remember, less musicians does not mean less quality. Now, although an ensemble of 4 musicians can take care of a party and give you a fabulous night, there are things that a band can not do. So if you have the space for a fantastic live trombonist, why not? While we were talking, Monovilla Music was finalizing the details of a trip to a wedding in Miami. You might think costs would increase a lot in that case, but his philosophy is to maintain the same price for each and every couple purely for his love of music. Wherever you are in the world, you can count on them to bring the party. You can adjust your budget by prioritizing what’s important to you. 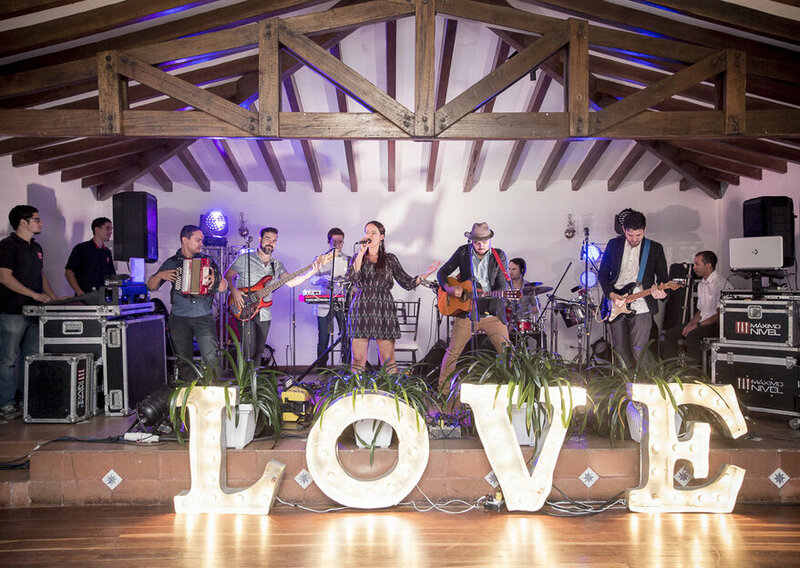 Are you a music-loving couple that wants to put on an incredible party for your guests? Then allow yourself the freedom to go all out. 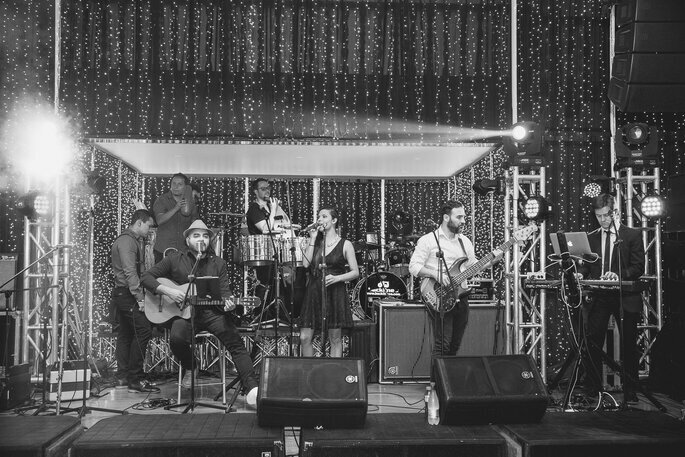 Monovilla Music will be enough to ensure your dream celebration and the number of musicians can vary according to your requirements. 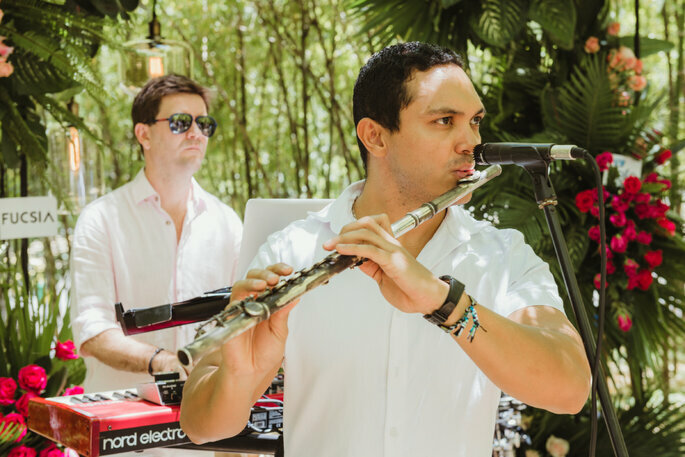 The main piece of advice here is – if you want a great destination wedding party filled with joyous music, don’t stop until you get one. If you want a live orchestra, why not? Celebrate your love with songs you’ve always enjoyed together. Whether you're the Maid of Honor, the Best Man, or the father of the bride, check out our universal tips on how to write and deliver the best wedding speech imaginable. Would you like your wedding to be remembered as the big party of the year? We have selected six ideas with style so that your guests can spend it like never before! In true celebratory style, we've made a list of the 10 most popular wedding songs from around the world, played throughout this year. You can´t help but want to dance when this tune comes on!